The greatness of R.E.M. albums is proportional to the amount of backing vocals from Mike Mills. Good news: Collapse Into Now drizzles his high, honeyed voice everywhere. The greatness of R.E.M. albums is proportional to the amount of backing vocals from Mike Mills. Good news: Collapse into Now drizzles his high, honeyed voice everywhere. His choirboy pipes sweeten the mandolin ballads and brighten the chunky rawk riffs. For that reason alone, the 15th album from the Athens, Georgia, icons is their best since the pre-Google days. To ensure that sort of endorsement from critics, R.E.M. pulls tested ideas from its first five Warner Bros. efforts. “Every Day Is Yours to Win” wrings the treacle from “Everybody Hurts” to tap your heartstrings with xylophone mallets. The massive, tremolo-rippled guitars in “Discoverer” echo those of Green and Monster. 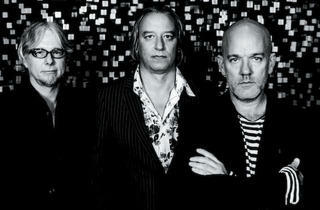 They return to close the album, after the desert moodiness and distorted beat poetry of “Blue” explores the fringes of R.E.M. like nothing since New Adventures in Hi-Fi. 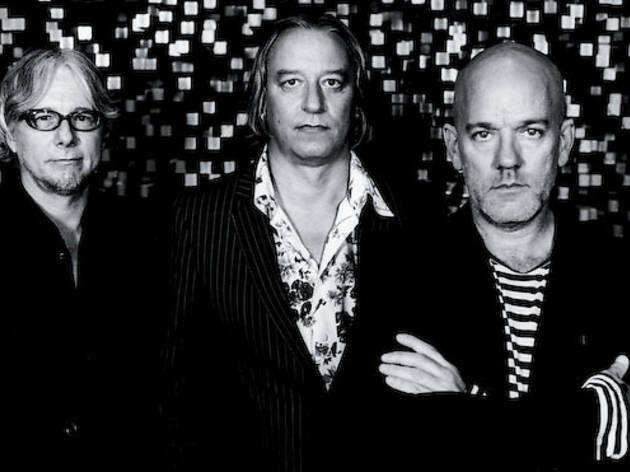 This deep into its career, the refined pop art of R.E.M. is easy to take for granted. Had Collapse come out in 1996, the reviews would all come in one star higher. So I’ve gone ahead and added it.